The comuter-generated voice was mind numbing. You will be listening to a sampled voice, which works for phone menus, but in a long book you will be listening to 10,000 sentences with the exact same bland tone and vocal inflection AS EVERY OTHER SENTENCE. You will be asleep after a short time. This type of audio should be free or public domain, not charged at a price like a human recording. I recommend this excellent book 100% for its content, but please buy the hard copy, unless you can find an audio version recorded by an actual human being. Have you ever had the nagging feeling that the problems the country faces are spiraling out of control, that the government has lost its way and that, despite its promises, nothing ever changes? Well, you're right. In every instance where government gets involved in people's lives with a desire to do good, it can always be relied on to make the situation much, much worse. 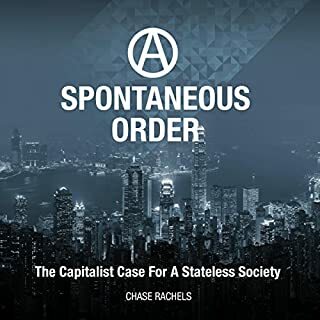 Yet despite overwhelming evidence to the contrary, we imagine that a world without the state would be a wild and terrifying place. When government gets involved in the economy, the reason is always to benefit some group in society. The intervention is always well intentioned, but always has negative consequences either to other groups or at a later time to the same group. This book gives many examples, and suggests some alternatives. The examples are mostly from the UK, but are relevant to everyone. For example, the UK healthcare system is funded through taxation, and the examples here are timely for the US while it is increasing its government control of healthcare. 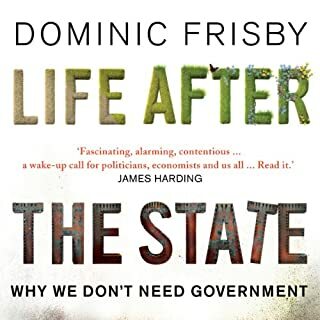 You may not fully agree with Frisby's conclusions, but the important message is how state intervention has unintended consequences. We are unlikely to find ourselves with an economy free from state controls, but the viewpoint of this book should help us evaluate the increasingly burdensome controls we see today, most of which are designed to win votes rather than to strengthen the economy. Money is another subject covered, as we see many major currencies losing their value today through inflation of the money supply. This causes an almost imperceptible but continuous hardship to the population, like a grain of sand in your shoe you know will eventually cause a blister. But inflation benefits governments because of their debt, and so it continues. Frisby's solution is to return to a metal-based currency, and not just gold but also industrial metals. I like the concept (but I believe gold would be the best choice), but while the people and the economy would benefit it is unlikely to happen because government could not function today without inflation. Books like this can re-balance our perspective, as we usually look at government action from the viewpoint of ourselves as an interest group, when we should look at the effects on overall prosperity.